In praise of Marty Peretz. No, that's not a misprint! Do not adjust your browser! No, that’s not a misprint! Do not adjust your browser! New Republic Editor-in-Chief Martin Peretz was sent to the pillory last week for saying ugly things about Muslims in his Sept. 4 blog entry, and as I write, commenters continue to parade by to pistol whip and denounce him for … for basically doing what’s he’s been doing for 20-plus years in the New Republic. I cataloged Peretz’s irrational hatred of all things Arab—and by extension, Muslim—in a 1991 Washington City Paper column. Since then, others including the Peretz Dossier blog, Glenn Greenwald, and Eric Alterman have kept tabs on Peretz’s irrational hatred. So the outrage generated by his Sept. 4 riff surprises me. How much evidence did people need to conclude that he’s a nutter on anything related to the Middle East and Israel? As long as Peretz’s critics were marginal alt-weekly editors like me, or even bright lights from left field like Alexander Cockburn in the Village Voice or TheNation, Peretz could shrug off the denunciations. But the protective membrane broke on Sept. 11 when Nicholas D. Kristof ripped Peretz and his Muslim-hatred in his Times column. Peretz didn’t do himself any favors by publishing a nonapology apology yesterday; that only stirred up his enemies. For instance, Stephen Walt wrote yesterday in Foreign Policythat Harvard University should reconsider its plan to honor Peretz at the Sept. 25 event where the 50th anniversary of the social studies program at Harvard will be celebrated. (Peretz once taught in the program.) Mondoweiss writes today that James Fallows’ condemnation of Peretz should be read as a call for him to step down from the New Republic. When you’ve lost Fallows, as Jimmy Carter can tell you, you’ve lost the nation. Of course, if Marty Peretz were to step down from the New Republic, there probably would be no New Republic. He has kept it afloat since 1974, when he purchased it with the Singer Sewing Machine inheritance of his wife, Anne Farnsworth. Without her money, he would have been just another Harvard Ph.D. in government, picking fights with whatever faculty members would have him. His lack of any achievement that truly belongs to him makes Peretz like any Rockefeller after John D., any Ford after Henry, or any Hilton after Conrad. No wonder he’s slightly mad. In the past decade, Peretz has sold off parts of the magazine to other moneybags, engineered the complete sale of it to a Canadian media company, and, last year, bought back in with the help of a new set of moneybags. Along the way, the magazine has jettisoned weekly publication for every-other-week, cut back on staff, and lost about 40 percent of its circulation in the last decade. Yet Peretz has kept the magazine alive in troubled times. I’m sure that if he dropped dead, somebody would buy the franchise and print a political magazine titled the New Republicor maintain a Web site with that name. But it wouldn’t be the New Republic. After 36 years, for better and worse, Peretz has basically become the New Republic. If we’re going to beat up Marty for being Marty—and, please, be my guest—let’s make ourselves uncomfortable by also acknowledging his contribution to journalism and thought. I won’t bore you with the names of people who have worked there, but he has always had a good eye for talent. He has always given young people great chunks of the magazine to run. 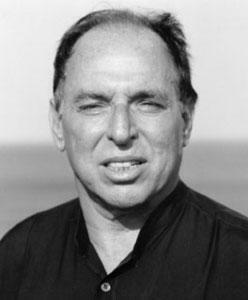 Michael Kinsley was 26 when Peretz made him managing editor. Andrew Sullivan and Peter Beinart were each 28 when he appointed them editor. Franklin Foer was 31. A constellation of journalistic stars—that I won’t bother to name—have passed through the Peretz universe. He obviously didn’t pick or promote all of the people who have labored at the New Republic, but he has been talent’s patron. Even Peretz haters agree on that. The trouble with hiring talented people is that they don’t always do what you want them to do. Peretz has exacerbated this problem by running the New Republicas a “dual monarchy,” as the journalist Paul Starobin once observed. His editors have been free to assign anything they want (except about Israel and the Middle East, of course). But as owner and editor-in-chief, he’s been free to kill those pieces—or assign pieces that undermine his editor’s assignments. Even in the most harmonious of times, the dual monarchy has led to faction-building at the magazine as staffers have been puzzled about who their loyalty should go to—their boss or the owner. The dual monarchy led to the abbreviated tenure, as editor, of Michael Kelly, who clashed with Peretz and was fired in 1997 after just nine months on the job. But the internecine warfare has frequently worked to the New Republic’s advantage. Jefferson Morley, who worked at the New Republicfrom 1983 to 1987, summarizes what has made the magazine unique and who deserves the credit. The current furor will have no effect on Peretz, whose pride, wealth, and self-image as the big boss has made him deaf to his detractors. He thinks of himself as little Israel. If you attack him, he thinks you’re attacking Israel. And we all know what happens to those who attack Israel. No matter what crazy things Marty Peretz might say, write, assign—or kill—he’s been the one constant at the New Republicfor the past 36 years, and any assessment of his crazy behavior must include that fact. Say what you will about him, he has remained committed to ideas and intellectual life. Whether we end up remembering him for his deep investments in journalism or his kited checks like the one he passed earlier this month, is still up to him. [Perry] was a lightweight sociology professor of no special talent or accomplishment who owned and edited the magazine The New World because his wife was a shoe company heiress who bought it for him. He was a joke in all circles except those that believed money was important. Perry was an occasional dinner guest at the Hollowells’ solely because his magazine published a long think piece by Bill Hollowell once a month. …Perry, what Bruce [Conn Clark] would call a predictable fool’s fool, had made himself even more foolish by writing a recent column accusing the producers of talk shows, particularly on public television and radio, of blacklisting him for his strong pro-Israel views. It was an embarrassing incoherence that only the owner of a publication could have brought to public print. Track my errors: This hand-built RSS feed will ring every time Slate runs a “Press Box” correction. For e-mail notification of errors in this specific column, type the word Peretz in the subject head of an e-mail message, and send it to slate.pressbox@gmail.com.